The Horror Movie BBQ: WrestleMania Memories with guest Thomas Bryce! Today is a very special day for us wrestling fans. It's the day where we join hands together and yell from the mountaintop without fear "I'M A WRESTLING FAN!!!!". 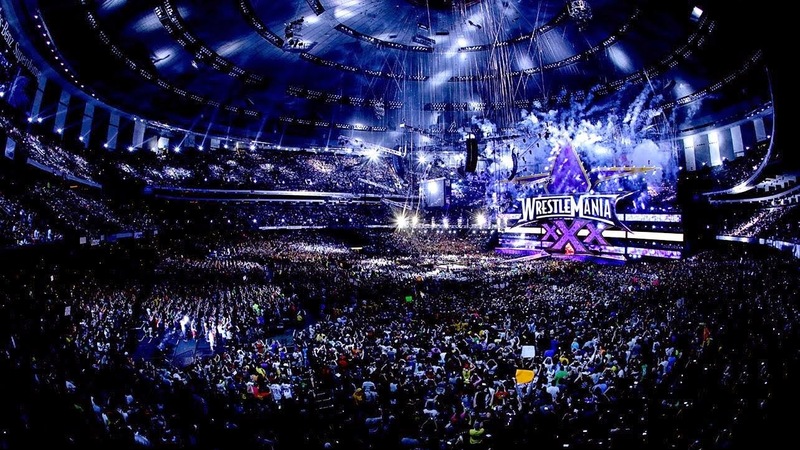 And of course after being a fan for so long, you rack up a lot of fond memories, and today I wanted to call on my blogging tag team partner, Thomas Bryce of the great ShitMovieFest blog to help deliver some favorite moments in Wrestlemania history! So let's start off with Thomas' memories! Thomas, Charles Band and I. Demolition 2015? 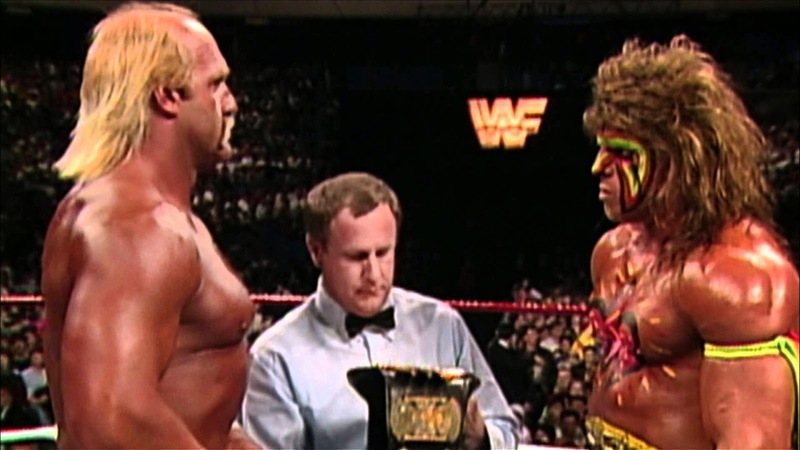 Favorite Match:Warrior vs Hogan at WrestleMania 6. Up until that point in my Wrestling watching I never witness two Good Guy do Battle against each other and this match blew my young mind! For the record I was pulling for The Ultimate one that evening so I was ecstatic by the result. 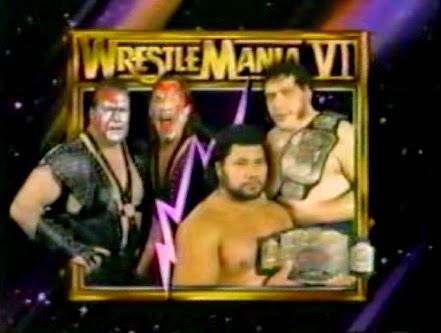 Favorite Title Change: Demolition taking the Tag Titles off of Andre the Giant and Haku.Wrestlemania 6. It's amazing to think how over as faces Ax and Smash were at this point in time only to turn Heel now long after with the addition of a third member named "Crush". Bonus point for the Andre face turn and him going out on top at the The Grandest Stage of Them All! This face turn for Randy was perfect and lead to many great moments over the next few years, including their wedding and memorable feuds with Jake Roberts and Ric Flair! Last Year's Mania had it all imo: Daniel Bryan having two fantastic matches and capturing the Championship, The End of the Taker's "Streak" and a great Battle Royal. The only complaint I had on this show was Cena winning against Bray Wyatt. That did neither man any favors! Now for my personal picks! Favorite Match: Bret Hart vs Shawn Michaels. Wrestlemania 12. Bret and Shawn were the WWF's best in 1996. There was only room for one at the top of the marquee and at Wrestlemania 12 we were gonna discover who that was going to be in an hour long Iron Man match for the WWF title. After an exhausting 62 minutes of back and fourth action and close calls, Shawn finally nailed Bret with a superkick and realized his boyhood dream of becoming the champ. Bret would take a hiatus while Shawn carried the company on his back for the remainder of the year until Survivor Series when he lost to Sid. But the excitement of seeing Shawn win the title lasted forever. Still to this day, my favorite match of all time! It had been 3 years since Randy won this title. So after defeating the Nature Boy Ric Flair in one of the "double main events" in a very emotionally charged match(the catalyst being Ric had an affair with Randy's wife Elizabeth. Major stuff back then), fans were delighted to see him win a title he very much deserved for a very long time. 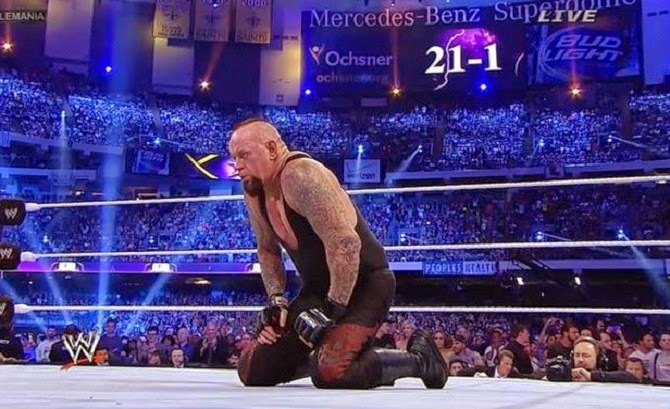 OK, ok, ok...I know this is going to be a controversial one, but I'm a firm believer that the Undertaker's streak should've been broken long ago. So when Brock Lesnar F-5'ed the Dead Man for the 1-2-3, I was ecstatic.Undertaker's streak will never be repeated, but nothing lasts forever. Between the double main event of Hogan vs. Sid, Randy vs. Flair, as well as the Undertaker vs. Jake Roberts, and a great IC Title match between Roddy Piper and Bret Hart, this show has a lot of rewatchability. A fun show that I always loved. And it was the first Wrestlemania I truly got hyped up for thanks to a great buildup. Agree? Disagree? Let us know your thoughts!!! Special thanks to Thomas Bryce for sharing his thoughts! 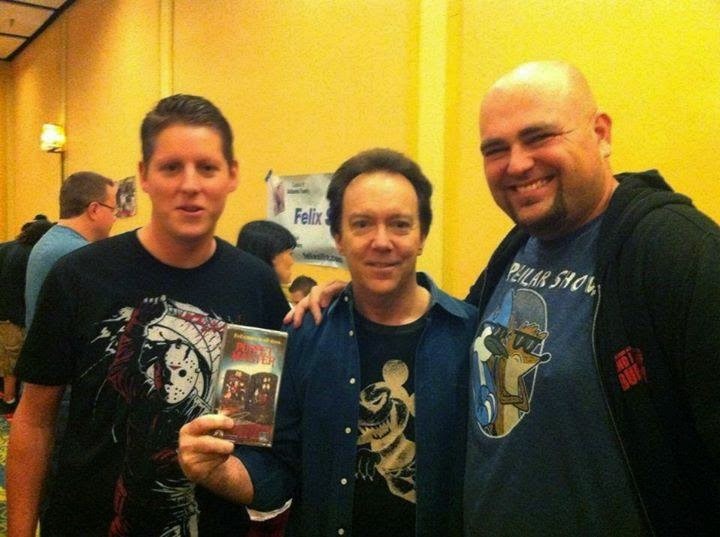 Please visit him at ShitMovieFest for the best in wrestling, toys, and horror!